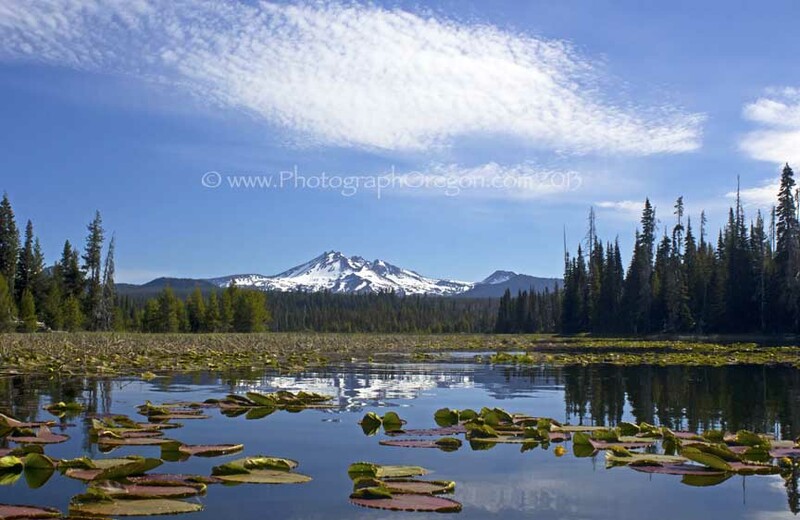 The Cascade Lakes Highway will open for the 2015 seaon at 10AM on May 01,2015. See you there! 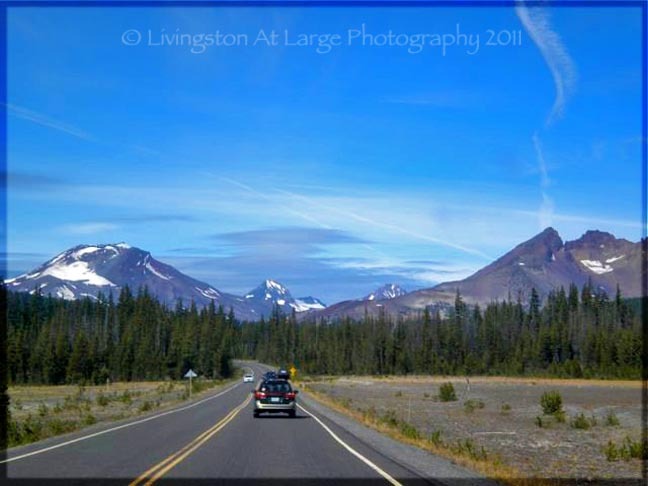 The 66 mile Cascade Lakes Highway (aka Cascades Lakes Scenic Byway), starting with Mt. 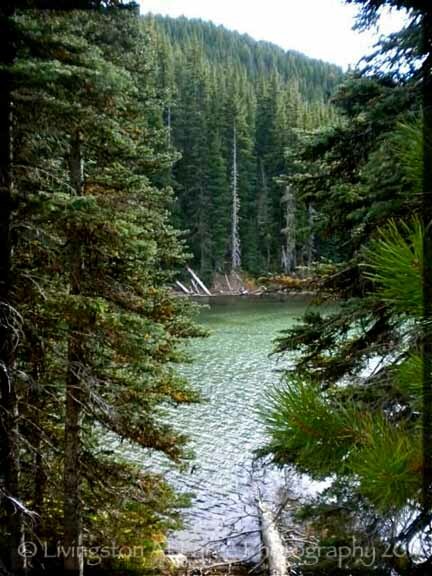 Bachelor ski resort, which is open all year (not for skiing, that is seasonal, but the lift to the restaurant and upper trails), can be done in a day trip, or many days of camping, hiking, fishing, photographing, canoeing, kayaking, mushroom hunting and ….and …and…. Todd Lake, first on the right past Mt. Bachelor, is pretty small and I have to go get some good photos in the daylight. I chased a sunset up there one night and got there late. You can’t be five minutes late for a sunset. 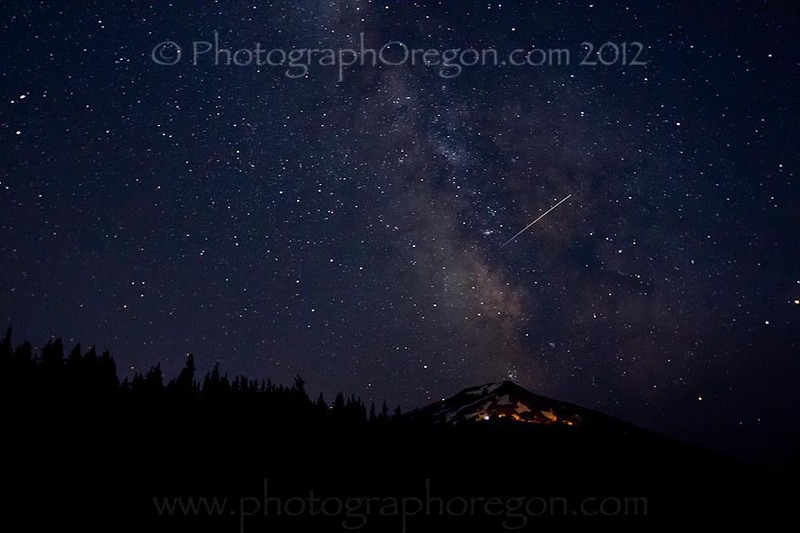 We also use the field right near the trail in to Todd Lake for night star photography. 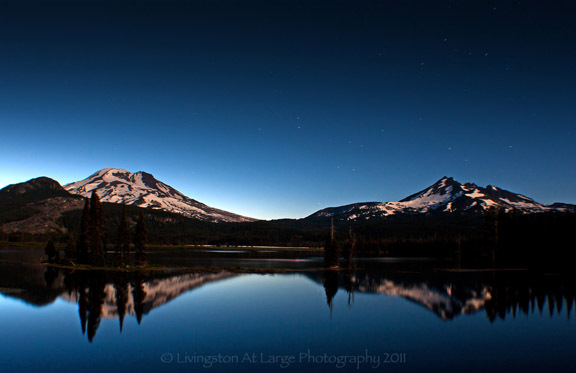 Next on the left, Sparks Lake, is on this highway and while it has its own page, I took this long exposure image very late at night using the full moon to light the mountains. Devils Lake is always this fantastic green color. This image was taken years ago with a Blackberry, so you can imagine what great shots you can get with a real camera. 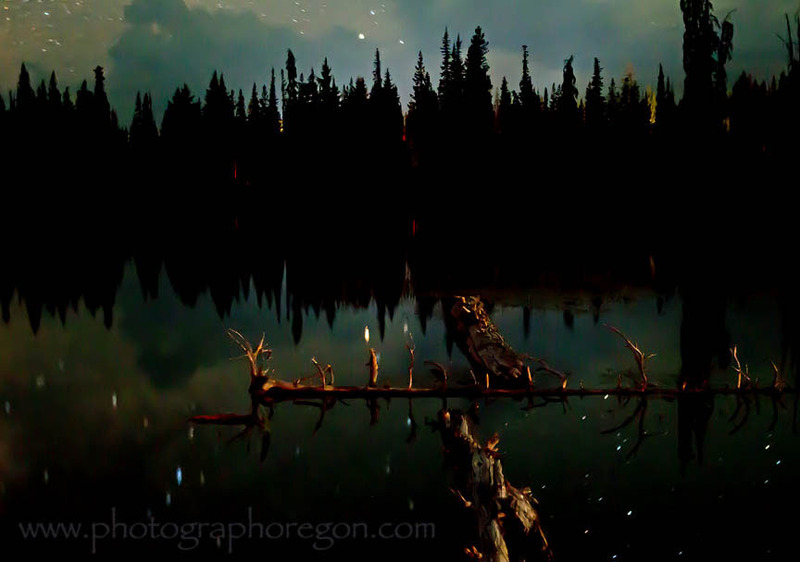 Devil's Lake is another fun place for some night star photography! 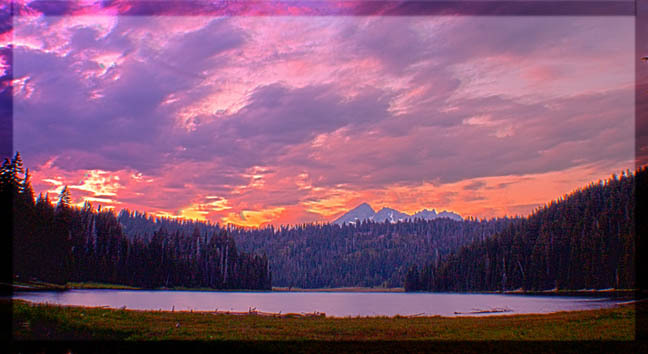 Next on the highway is Elk Lake. 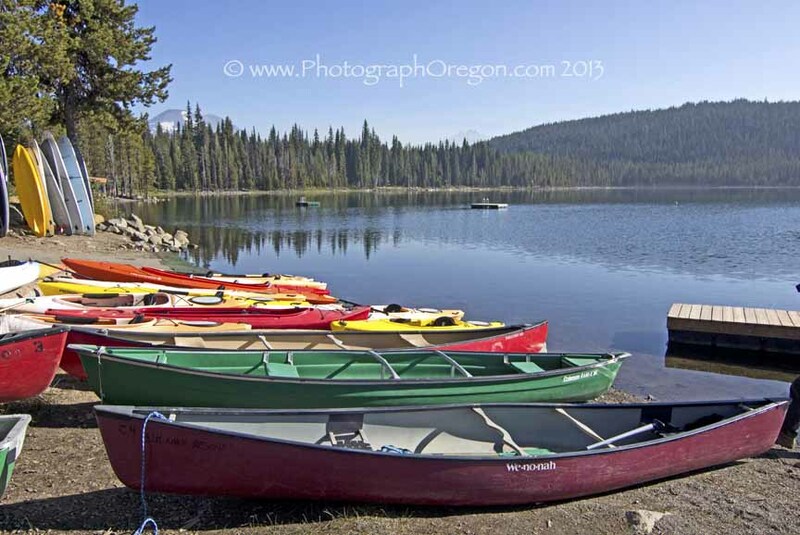 Elk Lake is a very popular place all summer. There are concerts and boating, boat rentals, cabin rentals and general all around FUN! Here is there website for more info. Hosmer Lake is the next in the chain and one of my favorite places to kayak and take pictures. A beautiful flat water lake with no power boats allowed, Hosmer is a peaceful refuge. It was also the first catch and release lake in Oregon. Early in the morning you can get some fantastic reflections. 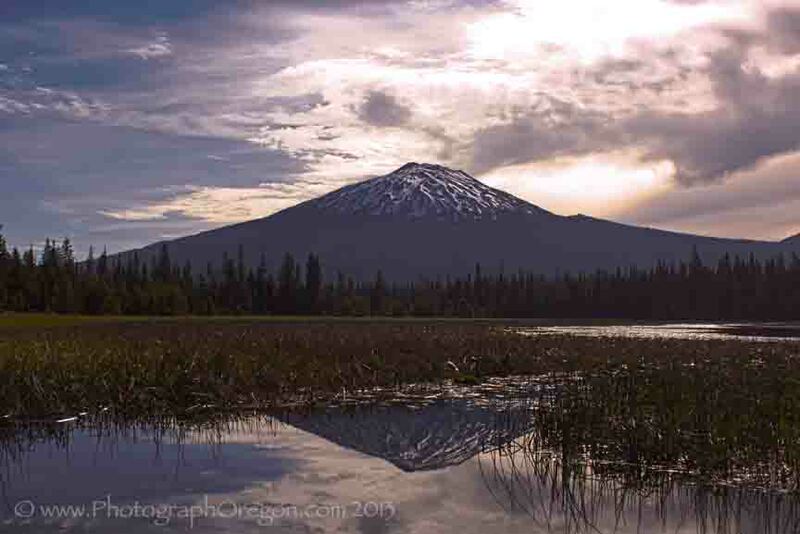 Further up the chain are the Twin Lakes, Lava Lake, Crane Prairie and Wickiup and I am still missing many more which I will add as I go along. Crane Prairie and Wickiup in particular are popular spots for birding.